The Remnant Newspaper - Quo Vadis? We will fight in our parishes, we will fight in our dioceses, we will fight every lupine shepherd in sheep's clothing, we will fight online, we will fight with our wallets, we must fight and never stop fighting. We don't fight in hopes of a truce or for some less-unholy middle ground. We fight for all of it. Recently a question was put to me by a friend. That question, in its essentials is this, "What now? What are our options, given the current trajectory? What are we, lay people and individual clergy who see what is happening, to do when the destroyers have all the power? How do we persevere and preserve? How can we?" Thinking to formulate a systematic policy-based response to stem the tide, I struggle with the idea that there might be no such thing, that there is no flanking maneuver or rope-a-dope strategy that can stop the invasion and pummeling most certainly coming our way. It is foolish to try and envision a path out of this disaster without first looking at the path that brought us here. I am not qualified to offer a treatise on the scourge of modernism over the last century and a half, nor do I think such knowledge is required to address the realities of the situation. I take rather the view of the ordinary Englishman as the Nazi scourge scoured the last vestiges of freedom from the continent knowing that when that task was done, he too would face it, he and his. I was born in 1967 into a Church that had already surrendered to the enemy, I just didn't know it. After that surrender, it became the task of successive Pontiffs to cede ground in order to maintain something that still resembled that which they inherited. The Popes that ceded the least territory to the enemy in order to "conserve" that which remained, were hailed as heroes on the global stage. Those who put up little resistance and gave ground easily had to content themselves merely with sainthood. But each in their turn gave precious ground to the enemy. Those few faithful that refused to flee and abandon the Church altogether were told by those they trusted that all the ground ceded to the enemy was of no value anyway, that is was actually an encumbrance better jettisoned to preserve those things that really mattered. Then those things that really mattered were artfully moved into the encumbrance category and jettisoned with the rest. Better to do this, we were told, then to fight. Fighting only made things worse, made the tiger clench its jaws even tighter. Best not to wiggle and squirm, it just turns people off. This was the "conservative" approach. That we should only be concerned with the 5 year rolling average of truth and not focus on what was already lost. But with the current papacy things have changed, somewhat. Yes, more people are waking up to the fact that there is no land left between us and the tiger and it has us in its jaws. Feeling the clench and the pain, there are those that are finally waking up to the reality of the threat posed. There can be no doubt that this is a necessary and crucial step to mounting any serious resistance. But old habits are hard to break. I recently saw a prominent clergyman, once firmly committed to the "conservative" approach, but now valiantly resisting that which must be resisted, publicly pining for the Church of 2012. If only we could return to that golden era, things could be grand again. If only we could take a few steps back from the tiger, surely, we would be saved. But this is the same mindset of surrender that brought us to this precipice. So where does that leave us? What do we do? What we must first do is recognize that the enemy, modernism and its mitred minions, will never stop. They will never just take enough and stop. They will never be satiated. They will relentlessly continue until there is nothing left of True Religion. Digging trenches is not a strategy for victory, but merely a delaying tactic for inevitable defeat. That means we cannot just fight this fight where the current lines are drawn, our aim has to be to take it back, all of it. That means the aim must be the recovery of all Truth and return fully to traditional Catholicism in its liturgy and formulations of the Truth and every promulgated falsehood, whether direct or indirect, must be purged from the Church. Yes, traditional Catholicism is the only answer. Seeking any kind of middle ground leaves the enemy on the field. That can never be tolerated. There were those valiant men who told us this at the beginning of the onslaught, but all too many of us were not prepared to listen. We can make no pretense that our backs are not currently to the wall. 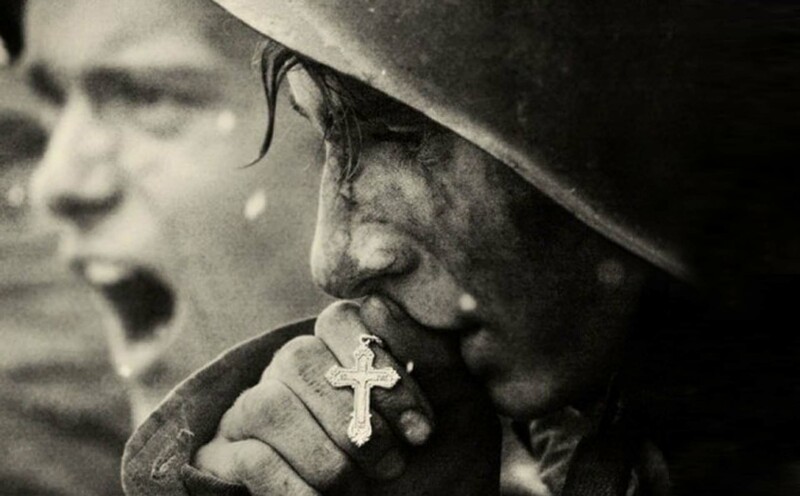 And even though most of the Church at every level has fallen into the iron grip of the enemy, we can never despair, even if we are reduced to a most pitiable state, persecuted by our own even in concert with oppressive states, seeking sacraments in secret, or worse. We have God's promise that the Church will survive. And we further have the promise of His mother that the Church will be restored after this terrible way of the cross. But in the meantime, we fight. There is no fleeing to the hills in hopes that we will be left alone there to rebuild Christianity. The enemy would never allow it. We must fight them on everything. We shall fight against every unholy innovation of this dark and destructive Church, not just the new ones, but all those that have brought us to this state. This article appeared in a recent print edition of The Remnant. To find out what you're missing, subscribe to The Remnant Today! We will fight in our parishes, we will fight in our dioceses, we will fight every lupine shepherd in sheep's clothing, we will fight online, we will fight with our wallets, we must fight and never stop fighting. We don't fight in hopes of a truce or for some less-unholy middle ground. We fight for all of it. And we can never stop fighting until that day God calls us home or He decides in His infinite wisdom that His body has suffered enough and provides for that break in the front that will send the enemy scurrying. It is not in our power to win any given battle or the war, it is ours only to fight for what is right. That is the strategy, fight and never stop fighting until the strategy emerges in God's good time. And then fight some more until the enemy is defeated. It is us or them.